Marc Antoine is a media executive with an international career in television broadcasting and production. 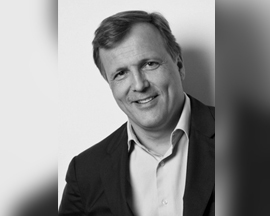 He is currently the Chairman of the Management Board of M7 Group, a company based in Luxembourg, which operates satellite Pay TV bouquets in Holland, Belgium, Austria, Czech and Slovakia. From mid-2013 to February 2016, Marc Antoine was the CEO of Zodiak Media, an international TV production group, and prior to that he was CEO of Showtime Arabia, based in Dubai, where he completed another turnaround from 2006 to 2008. Marc Antoine started his media career at Sony Pictures Entertainment. He holds a Bachelor’s Degree from Sciences Po in Paris and a Master’s Degree in Business Administration from the Harvard Business School.